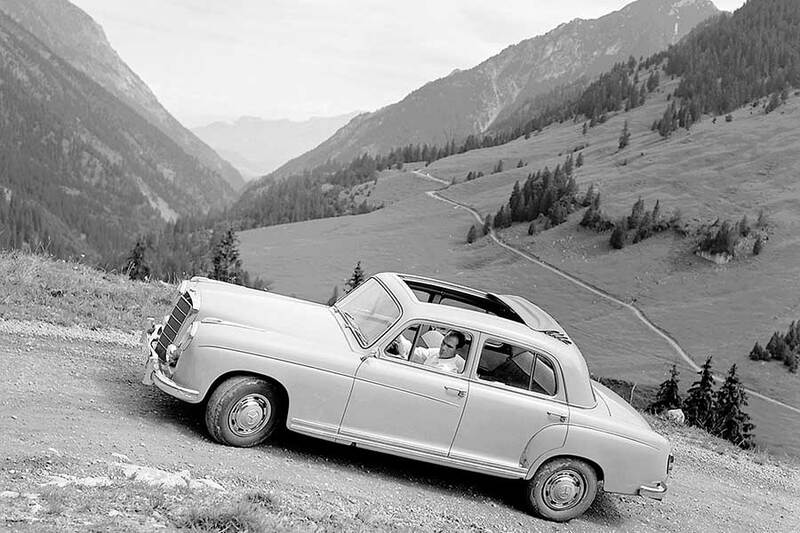 The new products and features presented in 1958 in the passenger cars from Mercedes-Benz once again underlined the brand’s innovative power: in the 300 SL Roadster (W 198) the company offered seat belts for the first time, launched a power steering system and air conditioning as optional extras in the 300 (W 189) model and in the 220 SE self-supporting chassis-body structure (W 128) it established petrol injection in volume production. The 1950s were shaped by mass motorization in the western world. This led to road traffic becoming heavier and to increasing numbers of accidents. It was also against this background that the Mercedes-Benz technicians and engineers intensified their work on solutions for vehicle safety. In 1958, for instance, 18 years before seat belts became obligatory in the Federal Republic of Germany, the seat belt was offered as an optional extra for the first time in Mercedes-Benz passenger cars. The seat belt was premiered at Mercedes-Benz in the 300 SL Roadster (W 198, 1957 to 1963). The restraint system was designed as a lap belt, similar to that in an aircraft. This corresponds to the description of the new optional extra, announced in 1957 as a “belt to buckle up, airplane design”. The system was introduced in 1958 with the name it still bears to this day, the seat belt. A systematic culture of innovation at Mercedes-Benz also resulted in new technologies quickly becoming available in volume production. 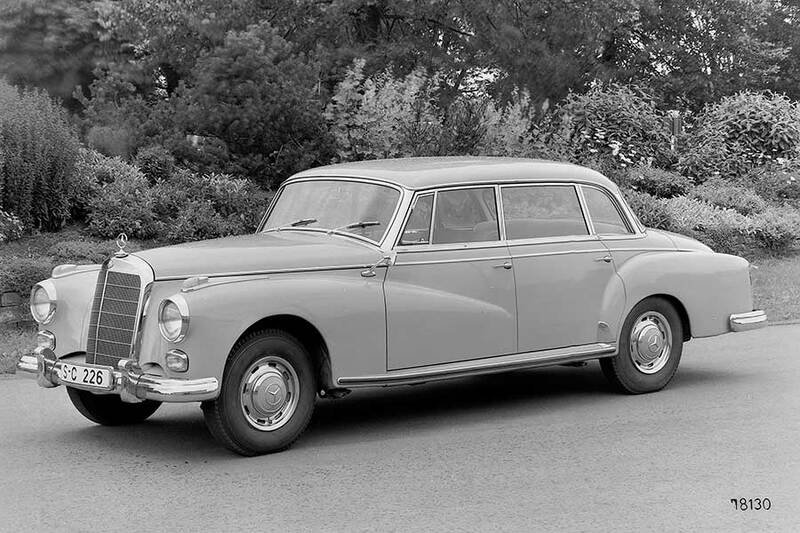 The 85 kW (115 hp) Mercedes-Benz 220 SE’s self-supporting chassis-body structure (W 128) with petrol injection was synonymous with this development. It was unveiled in September 1958. This technology for enhancing output and efficiency had already been established for some years by that time, and in this vehicle it now entered volume production at Mercedes-Benz. The additional charge compared with the 220 S with a carburetor (W 180) was DM 1900.